Fully supports the PLAYSTATION 3 motion sensitive controller. The controls, which lock you into using motion control, are terrible. I know that anyone who says that is open to the "but you just didn't learn them!" defense, but I tried. I tried for hours and hours and hours. I tried all weekend. I played missions over and over trying to get the controls down. The truth is that they're just not precise, and with too much of the game asking for precision, it's continually frustrating. I wasn't happy with the controls on minute six, and I wasn't happy with them on hour six, either. The little gimmicks that ask you to use the Sixaxis in different ways were simply annoying; I didn't want to shake the controller up and down to use my claws. 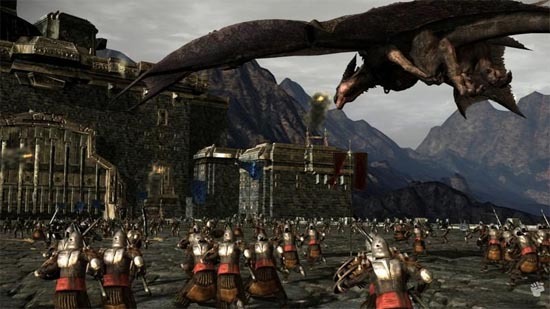 The silly in-air battles where you have to move the controller left or right sharply to ram other dragons didn't work with any regularity. But these are nit-picks compared to the fact that the very act of turning with any control is damn near impossible. Maybe things would be improved with analog control, maybe not, but as it stands there isn't a single control mechanic that works or adds to the experience. When you grapple with another dragon in mid-air you can mash buttons and it may look cool, but that's it. You can wrestle your way through the game, but no matter how long you play, you'll simply grow accustomed to the crappiness of the controls; they're almost impossible to master. Aiming your fireballs is a chore without an aiming reticle or an obvious way to see what you're locked on to. It almost feels like the developers were working on a good system for combat and aiming, but decided for some reason not to ship it with the game. The entire game, in fact, feels rushed and unfinished. Outside of the nice story sequences, the in-engine cut scenes are choppy, pop up too often, and seem to intrude on the action instead of moving the story along. This is a game I would say shows promise if were playing a preview and was told that it was 60 percent done or so, but as an actual retail product? No thanks. 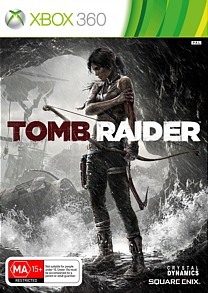 Graphically, Lair is rich and detailed, however the frame rate is awful. It's low to the point of motion-sickness in many scenes, completely killing the experience of flying. The frame rate is constantly chugging, and it's unbearable. 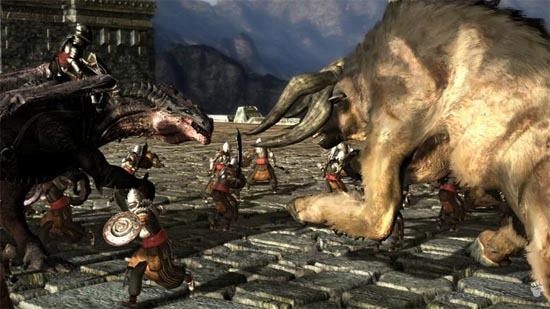 The ground battles feature a slow-motion effect when you swipe away many enemies at once, but you'll be forgiven by being annoyed at having to suffer intentional slowdowns between the unintentional ones. 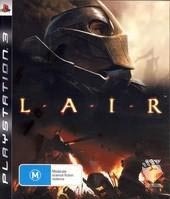 In conclusion, Lair is a disappointment on the PS3 and almost feels like a BETA version with extremely poor gameplay and framerate issues. It's a shame because Lair could have been a great title, however this current incarnation leaves quite a lot to be desired.